Home / Contest / Win A Part 3 Jason Voorhees DLC For Friday The 13th: Killer Puzzle! Win A Part 3 Jason Voorhees DLC For Friday The 13th: Killer Puzzle! Friday The 13th: Kiler Puzzle officially launches today on Steam, iOS and Android platforms. We have played the game the past few weeks on iOS and it has been a lot of fun! 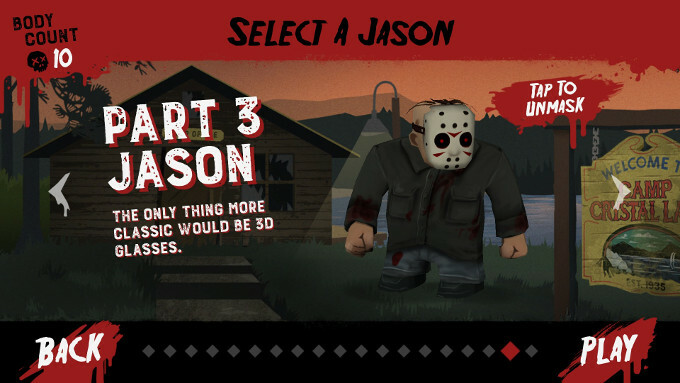 The game is a free download to play while unlocking new Jason characters and levels, however, there is downloadable content to purchase and we have partnered with Blue Wizard Digital to giveaway DLC keys for Part 3 Jason! These keys are only redeemable for Steam users, but we encourage everyone to download the game on any of your favorite devices. We will be giving away the Part 3 Jason DLC keys all day on our website and on our social media platforms. To Enter for a chance to win a key on this site, please comment below with your favorite Jason film and puzzle game to play. We will choose random winners throughout the day and contact you. Good luck!